As someone who’s based in Los Angeles, I’ve long taken stellar customer service for granted. Unhappy with your Uber ride? Go online and automatically receive a $5 credit for your next one. Unhappy with your Starbucks drink? Get another one made for free. Unhappy with a restaurant’s service in Malibu? Let the manager know and receive a discount and a personal apology. The same principle applies to various other stakeholders within a business. Whether it’s their customers, investors or their employees, companies are highly aware of the impact a negative Yelp or Glassdoor review can have on their bottom line. After a pregnant Sheryl Sandberg couldn’t find a close parking space at Google HQ, the company started assigning priority parking spaces for expectant mothers. At Facebook, Sandberg introduced a 20-day time off period for employees mourning the death of an immediate family member. And unlimited paid time off has become another popular benefit at many well-known tech startups. Customer service has long been recognized as an incredibly important revenue driver. Yet businesses all around the world seem not to recognize what many consider a well-known fact. I recently traveled to Europe, where I couldn’t help but notice the major differences in European versus American customer service. One particular difference I noticed was in hospitality. Just like you can always expect the same customer service in any Starbucks store, I’ve always received consistent, above-average treatment from Airbnb staff. This time I opted to try out a new startup, essentially a European version of Airbnb. When I brought up an issue I was having with my London apartment, there was a lot of direct questioning to check whether what I was saying was true (the customer isn’t always right in Europe, and a lot more evidence has to be provided). 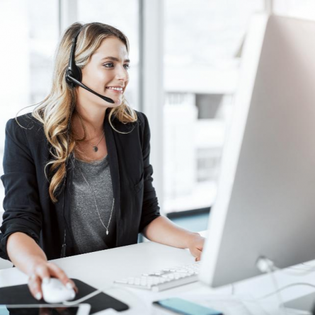 The information I received via online chat differed from what I received over the phone, so the handling of the entire problem took longer and I was required to keep a tab on it and constantly call back. Part of the difference in customer service is simply cultural. Europeans tend to go straight to the point, while Americans are known to take the friendly, helpful and slightly more time-consuming approach. Each one is great in its own way, depending on the type of customer you are. Aside from these cultural discrepancies, however, there is a good business argument for why “the customer is always right” mentality pays off better in the long run.